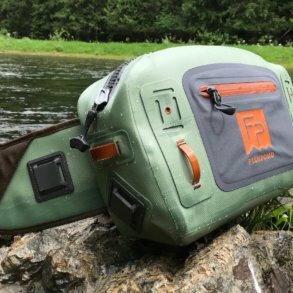 The Simms Taco Bag is one of the best fly fishing accessories we’ve seen in a long time. What is the Taco Wader Bag? It’s simply a bag that lets you pack up your wet, muddy and sandy waders after you’ve been fishing. In addition, the Simms Taco Wader Bag provides a clean and protective mat you can stand on when you put on your stockingfoot waders. 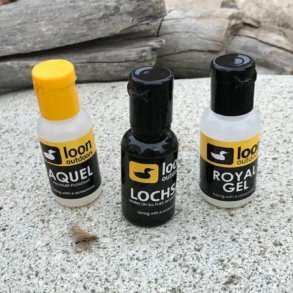 This means you won’t be stepping on sharp rocks, sticks or bottle caps left on the side of the road or in the parking lot at your fishing spot. 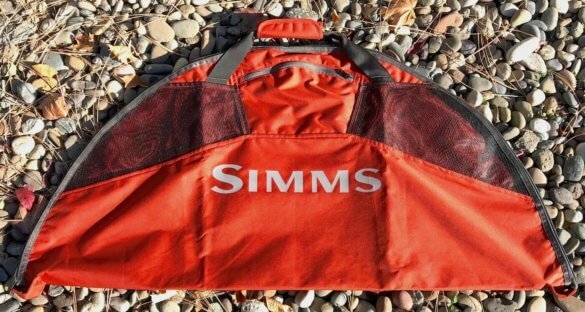 Is the Simms Taco Wader Bag necessary? Sometimes the simplest designs work the best. 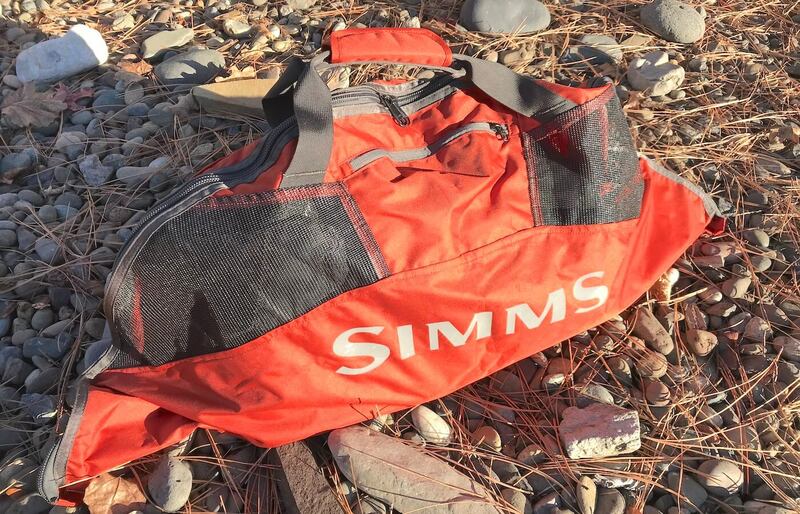 The Simms Taco Wader Bag is a case in point. At first glance, the design of the Simms Taco Wader Bag is dirt-simple, but on closer inspection typical Simms quality and thought comes through. The fabric is a PU-coated 600 denier ballistic nylon-shell fabric, which is durable and resists damage from moisture. The mesh vents help prevent mold and mildew, and they’re positioned to allow moisture to escape out the top. Turns out we appreciate having a changing mat on the side of the river. 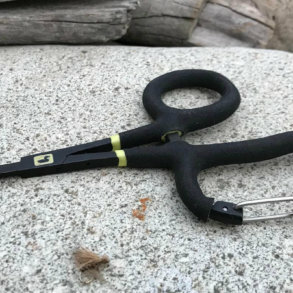 When you arrive at your fishing destination, you unzip the Taco Wader Bag, which creates a circle — that’s your changing mat. If the ground is wet, muddy or like I said, has anything poky, the mat will help protect your stockingfoot waders from holes. And it helps keep your socks dry and clean. So you put on your waders and boots and you go fishing. When you call it day, your waders and wading boots are likely wet, sandy, slimy or muddy. You take off your wet waders and boots and dump them on the center of the Taco Wader Bag. Then you zip it all up and you can throw it in the back of your pickup or inside your vehicle. The bag helps protect the inside of your vehicle while the mesh lets moisture escape. When you get home you can hose it all off for proper storage. If you ever have to return home by a certain time, the Simms Taco Wader Bag helps you squeeze out the very last final minute of fishing before the rush home begins. 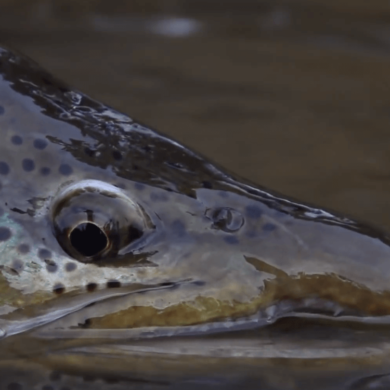 That alone is worth the price of the Simms Taco Wader Bag. 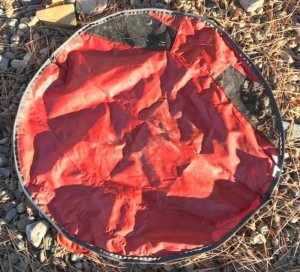 As for sizing, unfolded it’s 40 inches in diameter, so it covers a decent area as you try to keep your balance getting into your waders. When not in use, it packs up small. It will easily hold two sets of waders and wading boots. All-in-all, the Simms Taco Wader Bag is simple, awesome and affordable. Very highly recommended.